Find out about the AAVMC's programs, services and resources in this fact book. Explore the Journal of Veterinary Medical Education (JVME), the flagship journal of academic veterinary medicine. Check out our monthly ebulletin, the Vet-Med Educator, for a summary of news and events from the AAVMC. The Pre-Vet Advisor, an outreach to prospective veterinary medical students, was discontinued in late 2015 and admissions oriented communications were incorporated into the AAVMC’s Veterinary Student Engagement System (VSES). View the AAVMC Annual Report to read about the AAVMC's latest accomplishments. The AAVMC Strategic Plan outlines our approach to accomplishing our mission. What does the AAVMC do? 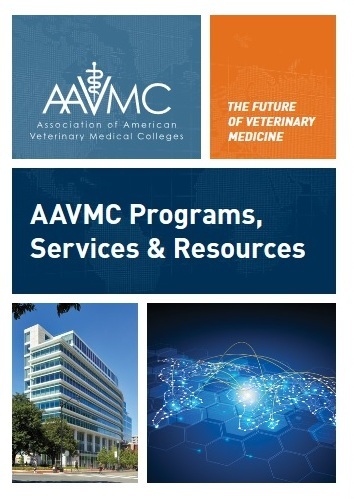 AAVMC: The Future of Veterinary Medicine provides a summary of the many facets of the organization and how we work together to advance academic veterinary medicine. The AAVMC's veterinary medical career brochure provides prospective veterinarians with the basic information they need to prepare for veterinary medical school and a veterinary medical career. Email info@aavmc.org to request copies. The Veterinary Medical School Admission Requirements (VMSAR) guide gives students and advisors what they need to know about veterinary medical school admissions requirements in North America. 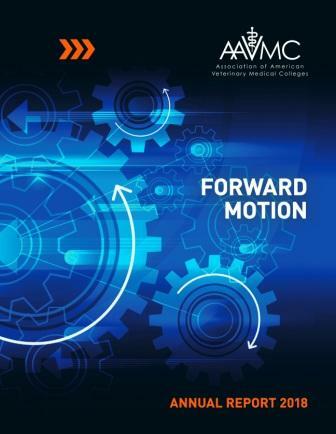 Spearheaded by the AAVMC, the North American Veterinary Medical Education Consortium (NAVMEC) report represented the most comprehensive effort ever undertaken to ensure that veterinary medical education meets society's changing needs. On August 5, 2012, the AAVMC Board of Directors received the Student Debt Initiative Report, a study and recommendations on how AAVMC and its member schools and colleges can help veterinary medical students better manage educational debt. The Foresight Report laid the groundwork for our current efforts to prepare for the future of veterinary medical education.